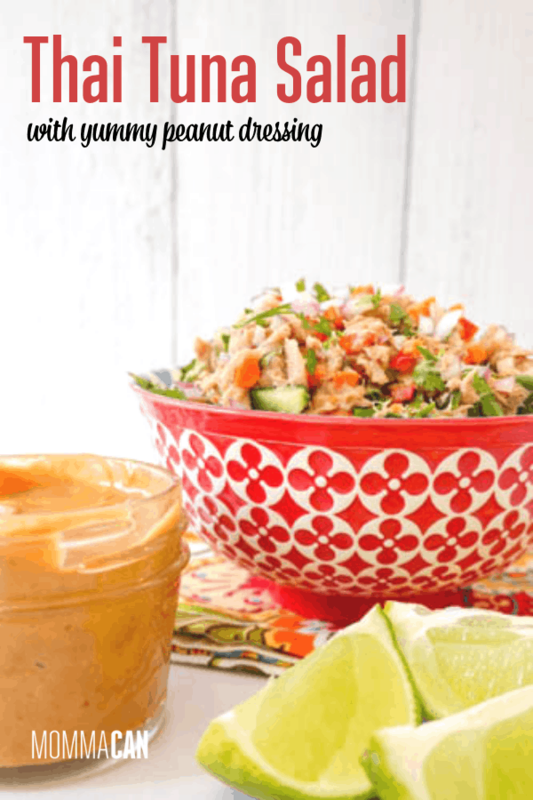 A fresh and delicious Thai tuna salad with peanut dressing you can make in less than 25 minutes for a quick family meal. 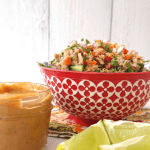 If you love Thai food and tuna salad, you will love our Thai Tuna Salad with Peanut Dressing recipe. 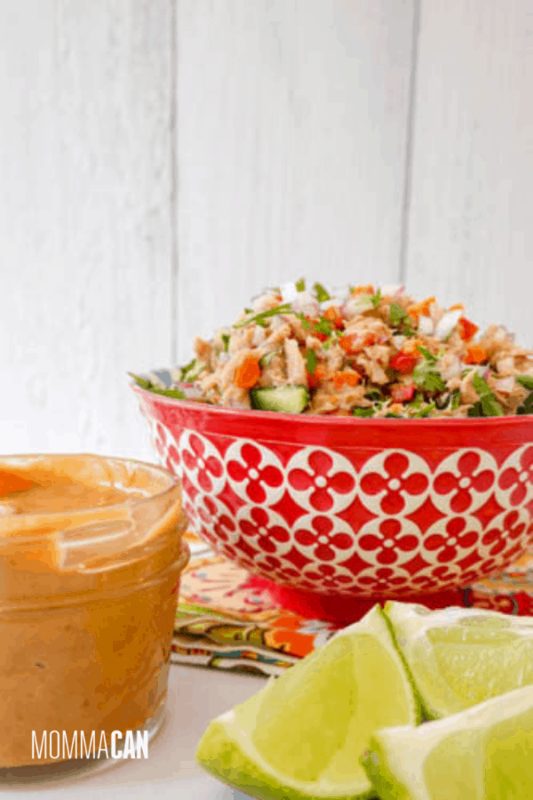 White albacore tuna with red pepper, cucumbers, red onions, cilantro, lime, and even ginger make this tuna salad delicious. The peanut dressing adds a sweet touch to the savory tuna and crisp vegetables. The tuna salad is full of yummy fresh crisp vegetables. Cilantro adds an amazing layer of fresh to this tuna salad. It’s a nice change from egg salad tuna or deli-style tuna. 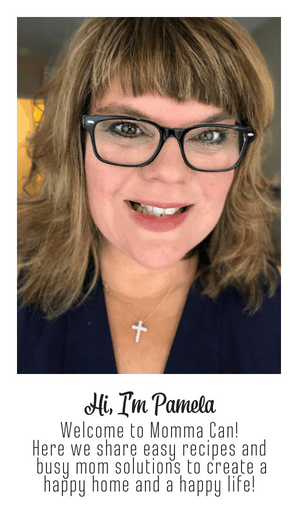 It has peanut butter in the dressing! The key to making the best Thai tuna salad is not to be afraid to add a little extra spice. I add the ginger, but also add turmeric, and fresh basil would be an excellent addition! Tuna salad is as good as the tuna you add to make the salad! I love all kinds of tuna but my favorite for the most recipes is white albacore packed in water. For certain dishes, I love olive oil packed tuna, but this one is great with any canned tuna because the peanut sauce shines! The freshest vegetables are always the best in tuna salad. Most especially if the recipe calls for onions! Onions just taste better when chopped fresh for this recipe. Cucumbers are crisper if prepared the day you make your salad and if you serve this tuna salad with tomato wedges then for sure cut those right before serving. 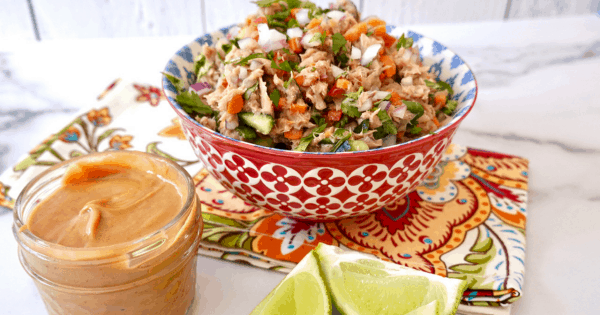 The Thai peanut dressing is the crowning jewel of this amazing tuna salad recipe. It sweet with a hint of savory brings a new layer of flavor explosion to the fresh vegetables, tuna, and the cilantro infused salad. I found some amazing gluten-free sticky rice crackers to add to the salad luncheon plate and there were just perfect with this salad! But truthfully, the peanut dressing makes this tuna salad recipe a family favorite. Here are some other fabulous tuna recipes. Fresh and Delicious Thai Tuna Salad with Peanut dressing is the perfect meal for busy families who love to try new things! Serve as a sandwich filling or luncheon salad with cucumber slices, tomato wedges, and carrot sticks. 1. Combine all ingredients except water. Whisk to fully combine. 2. Add water, 1 tablespoon at a time, until desired consistency is reached. Serve this as a dipping sauce or dressing. 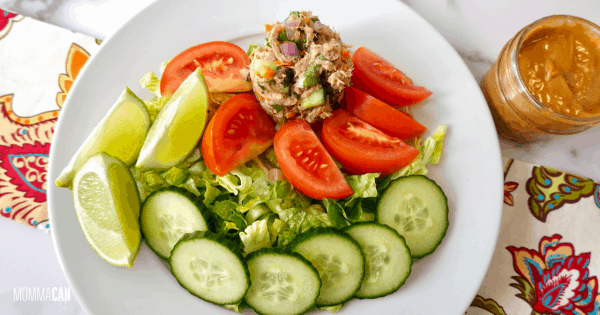 Rice crackers are a nice addition to this Thai Tuna Salad with Peanut Dressing. The peanut dressing makes an excellent dipping sauce for vegetable crudites and toast!